The consignment deadline for our Spring catalog will be here before you know it. If you would like to meet with us to discuss a free appraisal of your memorabilia, consigning to an upcoming Grey Flannel auction or selling your item(s) or collection outright, please contact us at (631) 288 -7800 x230 to make an appointment. Generous cash advances are readily available towards your Premier consignments and collections. If you have ever considered consigning to a Grey Flannel auction, NOW is the time as the prices realized that we have consistently shown our consignors have been nothing short of incredible. 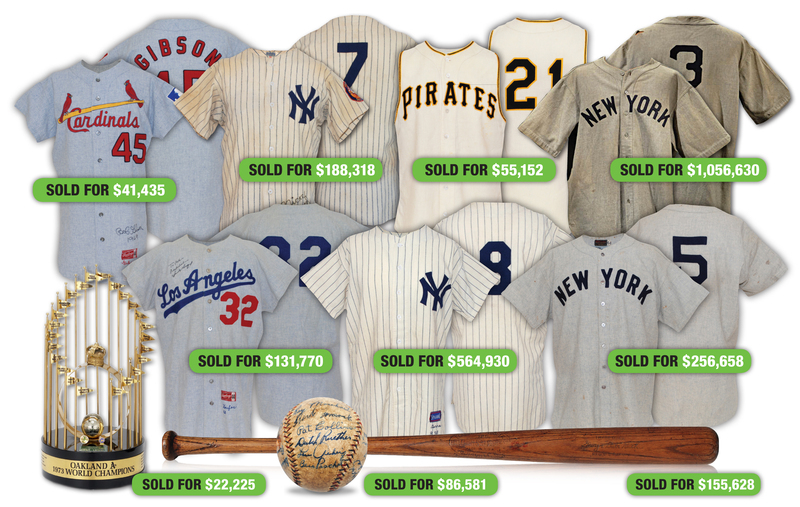 We are specifically interested in your: Game-Used/Game-Worn Jerseys & Equipment, Autographs, Championship Jewelry, Trophies & Awards, Pre-1950’s Sports Cards, Entertainment, Rock n’ Roll, Political, Americana & Historical Memorabilia.